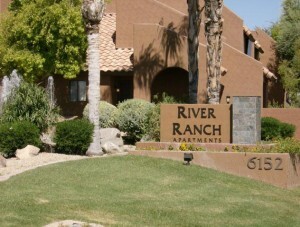 River Ranch Apartments for rent in Arizona are located in Chandler, close to entertainment, shopping, and dining. Some are within walking distance and freeway access is close by. There are several floor plans to choose from. All are spacious and reasonably price. 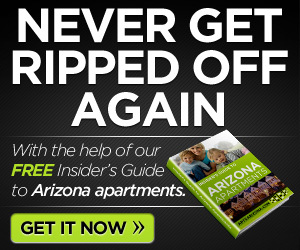 Section 8 is welcome at these apartments for rent in Arizona. What a great place to call home...close to shopping, entertainment, dining and all major freeways but still with a tucked away feeling. 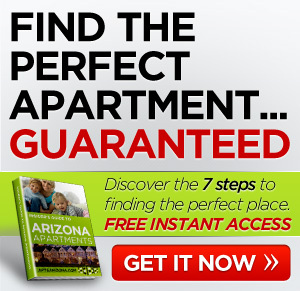 River Ranch offers a variety of floor plans in both 1 and 2 bedroom apartments all available for immediate move in. Whether you need the charming Cimarron with an incredible amount of kitchen storage and huge walk in closet in a compact, affordable one bedroom or the roomy Shenandoah with double master suites or something in between you can find it at River Ranch. Enjoy crystal clear pools, a relaxing spa, an energizing work out room or just kick back on your private patio and enjoy the day! The lush lawns and beautiful green trees offer a sense of peace and quiet that makes living at River Ranch an experience in ease and relaxation. Come visit us today and let our friendly staff help you select your new meticulously maintained apartment home at River Ranch. Please call for current specials!